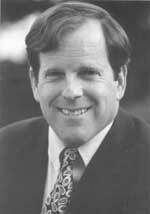 Co-author of California's "Safe Drinking Water and Toxic Initiative" (Proposition 65 on the ballot in 1986.) After serving with a gamut of environmental organizations, Pope became Executive Director of the Sierra Club (salary $141,704), perhaps the most influential of all such organizations, in 1992. Resides in Berkeley, California.